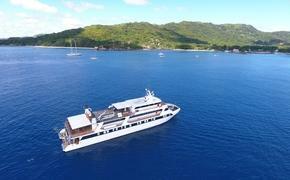 Blount Small Ship Adventures is offering savings of up to $400 per couple on select 2012 cruises when booked by Nov. 1. Cruise itineraries eligible for the discount include an 11-night Belize cruise departing Jan. 6, Jan. 20, Feb. 3 and Feb. 17; an 11-night New Orleans-to-Nashville cruise departing March 23; and the 11-night cruise between New Orleans and Chattanooga departing May 9, May 22 and June 4. For more information, call 800-556-7450, email info@blountsmallshipadventures.com or visit www.blountsmallshipadventures.com.